Conservatories are much more than extra space, it is added value and added rest of mind and much more! If you are considering adding a conservatory to your home but questioning if it is worth the price or hard work, if you need that little push then read our article ‘Benefits of having a Conservatory’, to find out why they are such a smart investment. It’s no surprise that Conservatories give the price of your home a little oomph. However, the type of conservatory you have is important, and no one is attracted to a small structure that extends into the garden with little or no light. Build or purchase a quality conservatory like a Georgian or even the model Victorian Conservatory. Conservatories can even be cheaper than home extensions, and they generally to the same things. Another positive about conservatories is the fact that they come in many different shapes and sizes, so having a conservatory that is perfectly tailored to suit the curves and edges of your home is highly possible. The classic Victorian Conservatory is one example, with their ageless design, they can easily compliment any style of house, whether small or big. Another great example is the Georgian Conservatory, with its contemporary design it’s no wonder they are loved by many. These are just a few of the many types of conservatories available, so you are indeed spoilt for choice. 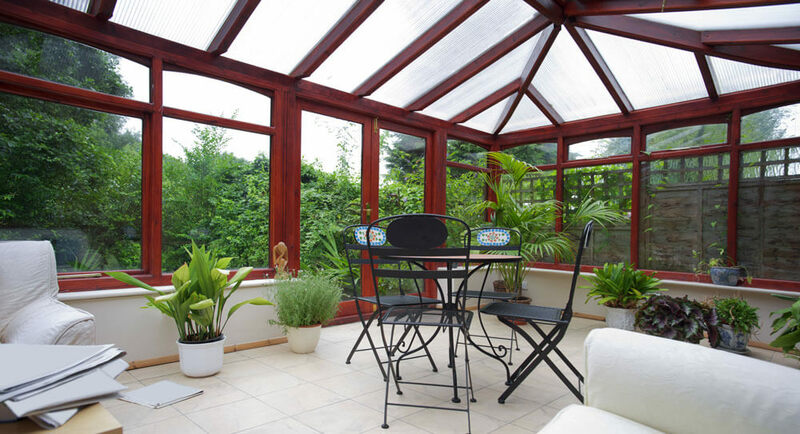 One main reason people decide to add a conservatory to their home is that they can admire their garden all year round. However your conservatory is utilised, with its great use of glass, you can wine and dine in the comfort of your conservatory and enjoy the beautiful view of your garden simultaneously. During the summer, conservatories are ideal for bringing in natural light; this makes your conservatory relaxing and lifts the mood.